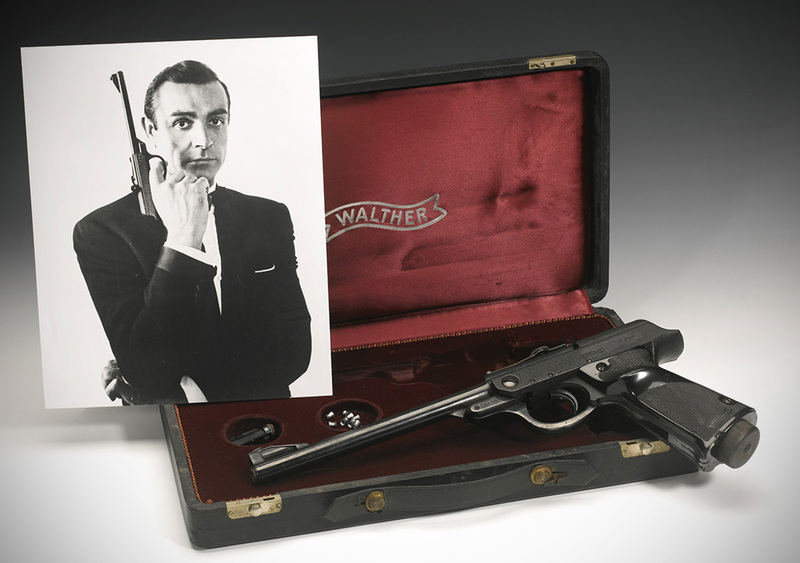 The Walther LP 59 made iconic by Sean Connery’s portrayal of James Bond is up for auction! How much would you pay for one of the most iconic props ever? 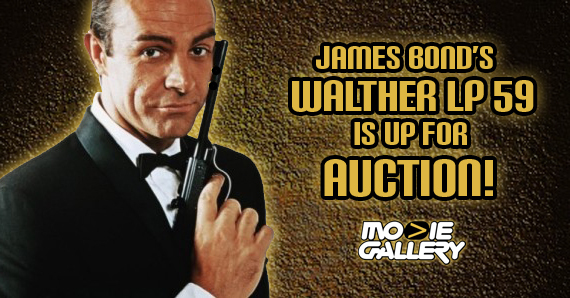 That’s the question Christie’s Auction House is asking this week as the Walther pistol used by Sean Connery in From Russia with Love comes up for auction. Aficionados of the James Bond series will have no problem recognizing one of its most legendary stills — a young, way less wife-beaty Sean Connery nestled up to a Walther LP 59 pistol — the sleek new age design of the gun no less intriguing than Bond’s Cold War espionage itself. The year was 1963, the girl was Daniela Bianchi, and James Bond was never better. 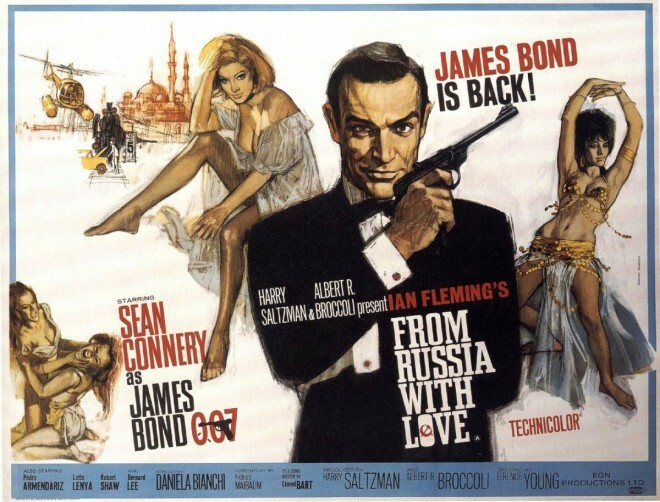 The Bond series has 23 movies to date in its canon, and From Russia With Love was the second of them behind 1962’s Dr. No. Bond wasn’t yet the cultural force he has become over the decades since, but it’s because of images like this one that we’re still talking about Agent 007 today. 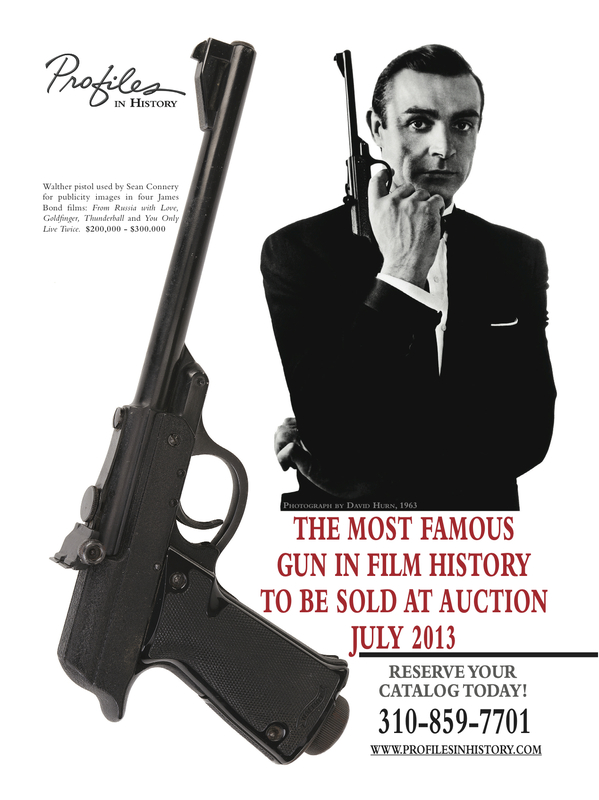 What would you pay to own James Bond’s gun? Christie’s estimates the auction will top out somewhere in the neighborhood of $200,000. It’s a considerable amount of money to pay, but there are enough nerdy billionaires around these days that they’re probably right. Plus, you know, they’ve done this kind of thing before. For that kind of money you probably COULD get a golden gun. Maybe we’ll have to sit this one out and let someone who wouldn’t have to take out a mortgage to pay it off get it. Either way, no arguing this is one of the coolest bits of filmabilia ever, and whoever winds up owning it, their spy cred just went through the roof! This entry was posted in The MG Blog and tagged 007, from russia with love, james bond, james bond from russia with love, james bond gun auction by summerm. Bookmark the permalink.